They hear the same inner voices, the “you’re too old” worries. 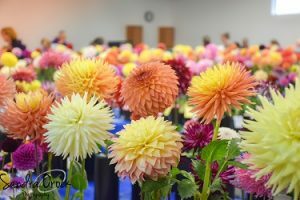 It would be easy for these graying senior citizens to just sit on the couch with their TV remote in hand, gulping down more snacks. But instead, Dave Supensky, Rick Littlejon and Bill Moore, who are all older than 65, do the unexpected. 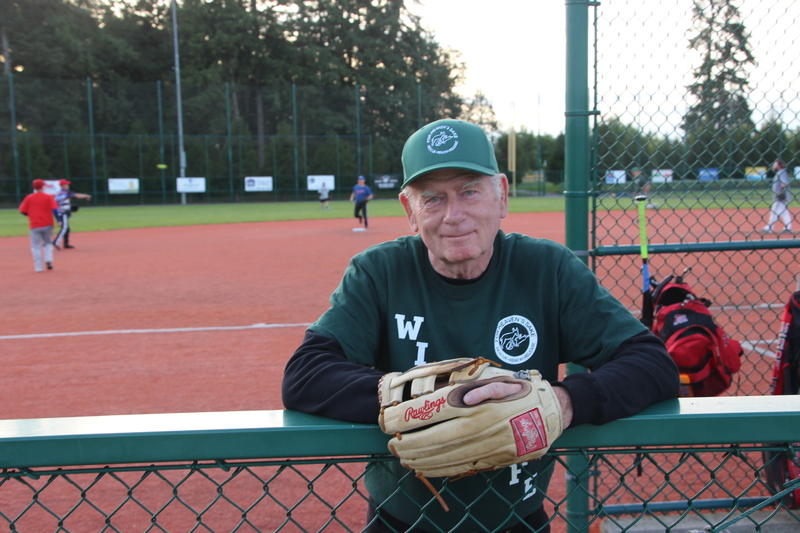 They pick up their baseball glove and head to the ballfield, joining over 100 gray haired buddies to play in the Olympia Senior Softball League at the RAC in Lacey. 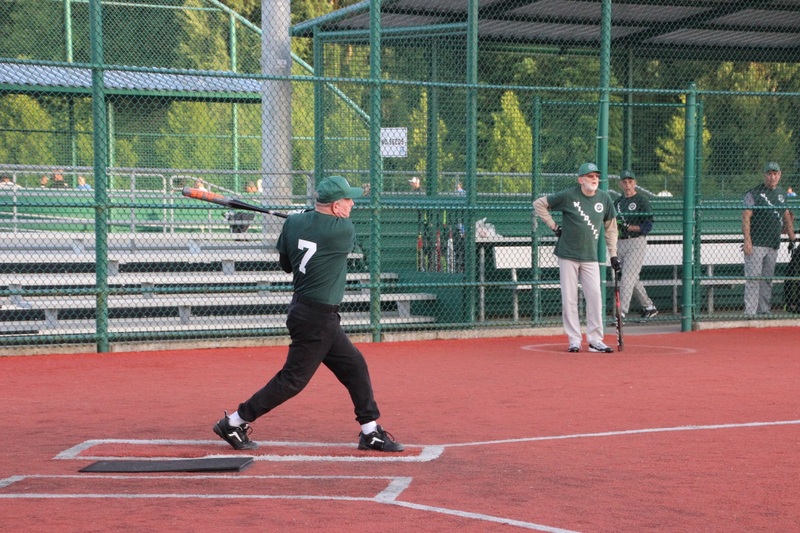 Now 79, a spry-looking Supensky has played softball every year since 1977, 40 straight years. At 18, Supensky joined the Army and after serving 20 years and two tours to Vietnam, he retired in 1977. At the time, someone asked him to play on their slow pitch team. He hasn’t stopped swinging the bat and scooping grounders since. But when Supensky ran to first base after knocking a hit into left field for a single he didn’t run like an old geezer. He’s still got game. Even though the calendar tells Rick Littlejon he’ll be 68 in late July, the way he swings a bat says he’s still got game. With some pop still in his bat and his knack for chasing down line drives, Littlejon is still the glove and bat coaches want on their team. He plays for several teams, including an all-star team in California that flies him down to play in tournaments. 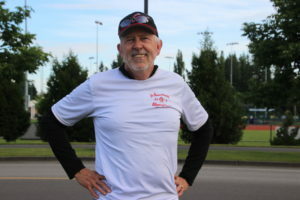 Littlejon, who has been playing softball since he was 20 and still plays in about 150 games a year, has been inducted into the National Senior Softball Hall of Fame. 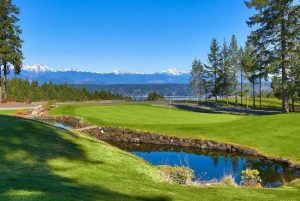 But, when he was in his 40s, Littlejon was thinking about quitting. Now 66, Bill Moore has always been involved in sports, playing baseball since he was a kid. But he didn’t start playing softball until he was in his 40s when his brother asked him to play for a team in Seattle. Then, when he turned 50, he saw an advertisement in the newspaper about tryouts for the Olympia Senior Softball League. 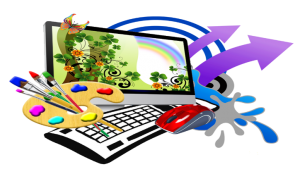 “So, I went out and I’ve been playing ever since,” Moore said. 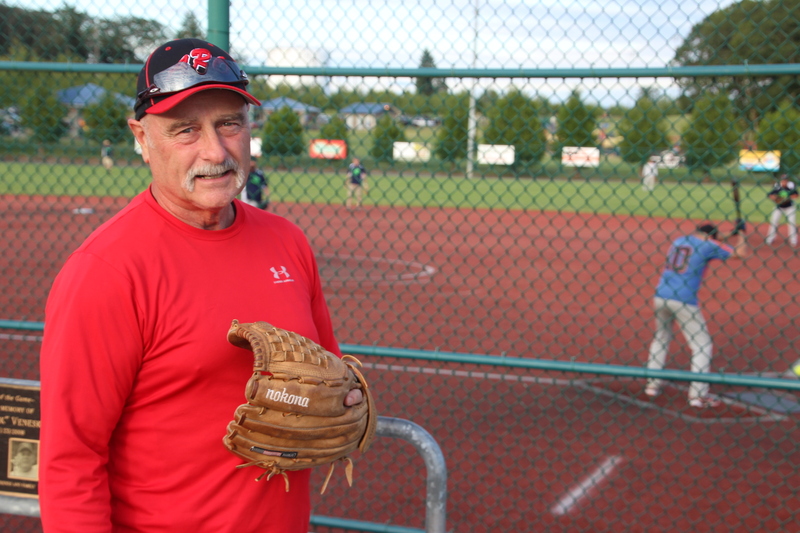 Besides playing two games every Wednesday in the Olympia Senior Softball League, he plays 10 to 12 tournaments a year at places like Reno and Las Vegas. Moore and the other seniors know it’s easy to say I can’t do this anymore. Accidents do happen on the softball field. 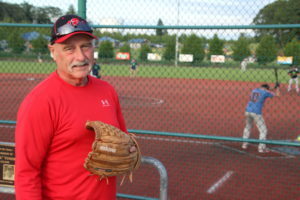 Bill Rankin, 71, recently fell and broke three ribs as he was running the bases. 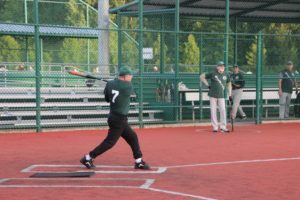 To learn more about the Olympia Senior Softball League, visit them online or contact Pete Boeckel at 360-584-5033 or peteboeckel@comcast.net.